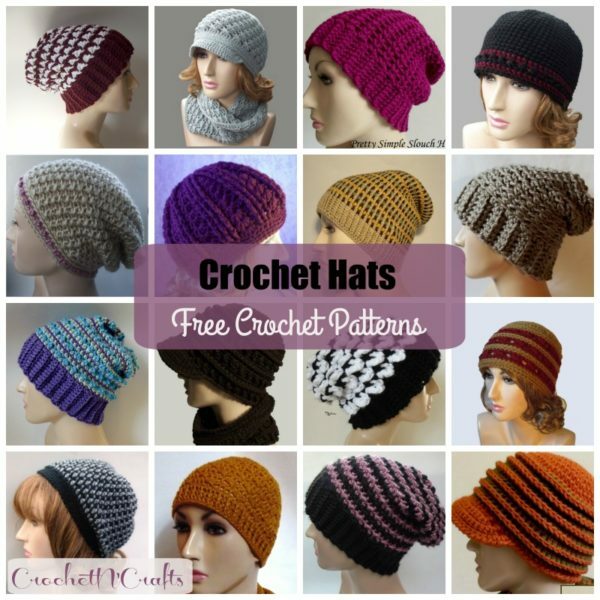 This beanie pattern is designed to fit a teen/adult, but can be adjusted to any size as needed. 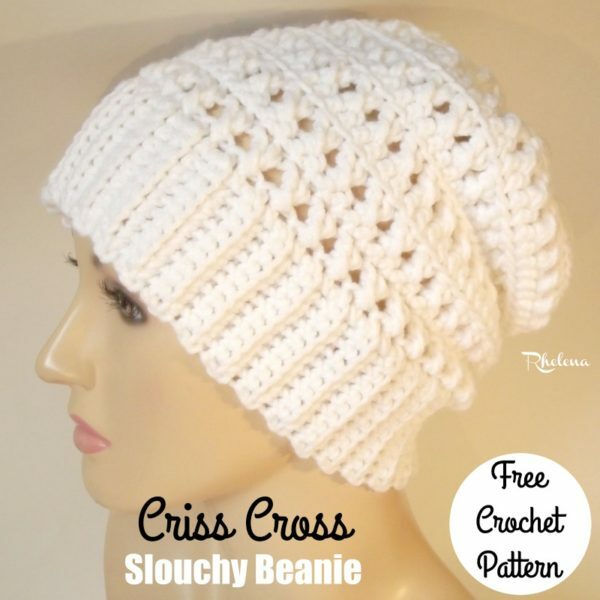 It’s the perfect match to go with the Criss Cross Cowl that was published a few weeks ago. 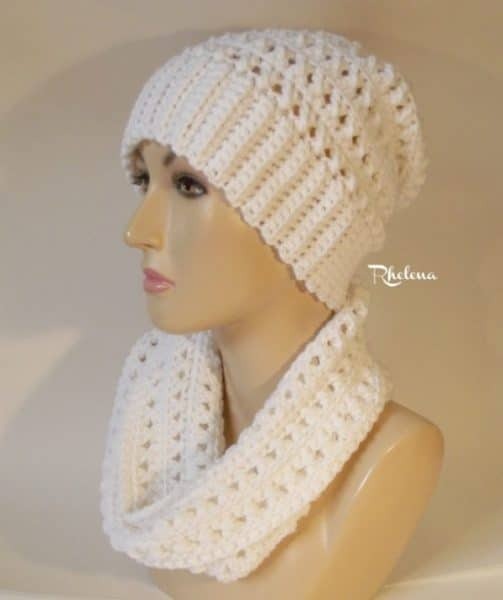 Or, check out the entire collection of crochet cowls to find something else that you like. 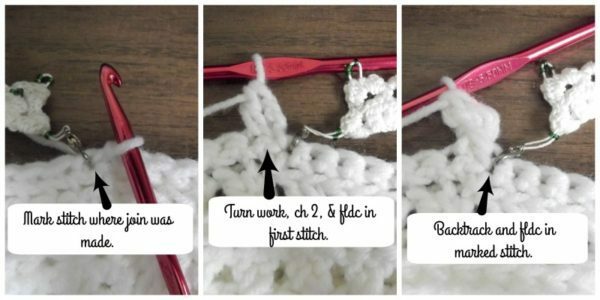 And if you’re looking for something a bit lighter over the head, you might want to try this crochet ear warmer pattern. The pattern is very simple and mindless once you get going on it, but the finished fabric looks elegant enough to wear with anything fancy. It’s crocheted here in a not-so-elegant yarn, but choose something soft like Caron or Vanna’s Choice for a super comfortable set. What I like about this hat is that it has a nice lacy look, but with a solid brim to keep the ears and forehead nice and cozy. Gauge: 3″ over 10 sts. This hat is started at the brim and worked up. The top is closed by weaving the yarn through the last round and pulling tight to close. The first crossed stitch is worked over the first and last sts made in the previous round. This way the beginning ch-2 is hidden for a seamless look. It also staggers the crossed stitches for a super cool design. All rounds are crocheted into the front loops only. All rounds are joined in both loops. Begin to turn after rnd 2. Row 2: Ch 1, blsc in each st across. Turn. Rows 3-64: Continue with row 2 until you have reached a desired circumference making sure to end in an even number of rows. Rnds 4-14: Rep rnds 2 & 3 ending rnd 14 with rnd 2 and omitting the last turn. Rnd 15 (RS): Ch 1, blsc2tog around; join with sl st in first blsc2tog. (32 sts) Fasten off leaving an 8″ tail for weaving in through the last round. Pull tight to close the hole and weave in tail end to secure.